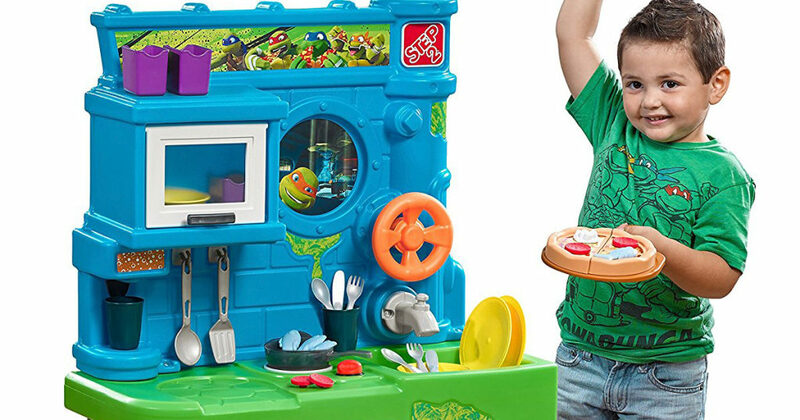 Head on over to Walmart where you can grab this Step2 Teenage Mutant Ninja Turtle Pizza Kitchen for just $59.99 shipped (regularly $90.99). Kiddos can create their very own pretend pizza in the pizza oven and can prepare their toppings on the stove top burner that features lights and realistic cooking sounds. When they are done, they can even wash their toy dishes in the sink. This kitchen also comes with a 39-piece toy kitchen accessory set.